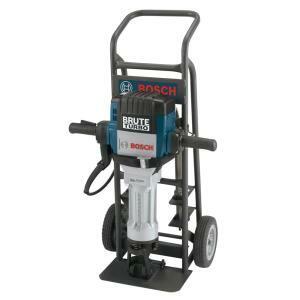 60LB ELECTRIC BREAKER FOR CONCRETE, STONE OR ASPHALT. GREAT FOR SMALL/MED. JOBS WITHOUT MESH/REBAR. FOR LARGER HD PROJECTS USE HYDRAULIC OR AIR POWERED BREAKER SETS. HANDLE SPAN: 23 1/2" LENGTH: 30 3/4" BODY DEPTH: 6"
TENT STAKE DRIVER, 2 3/4" CUP "X1-1 1/8"
* Please call us for any questions on our breaker 60lb brute turbo rentals in Portland OR, Gresham OR, Milwaukee OR, and surrounding metro area.